Glass has been described as a building’s eyes to the world. Glazing allows natural light transmission, views to the outside, winter heat harvesting in addition to the aesthetics of the design. 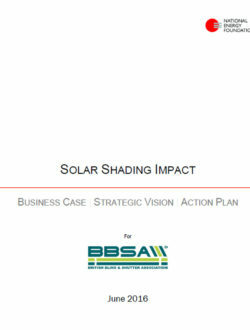 Solar shading allows more glass to be used as it provides control of heat and light gain when needed. The Shard in London is an excellent example of this design principle where the occupants of this fully glazed building (residents, hotel guests and office workers) enjoy thermal and visual comfort through the effective use of automated solar shading, linked to environmental sensors. 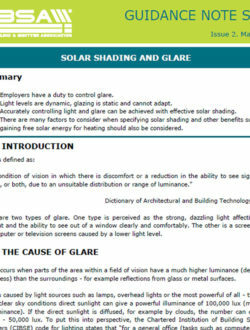 Glazing is typically static and yet the environment in which we live and work is dynamic. 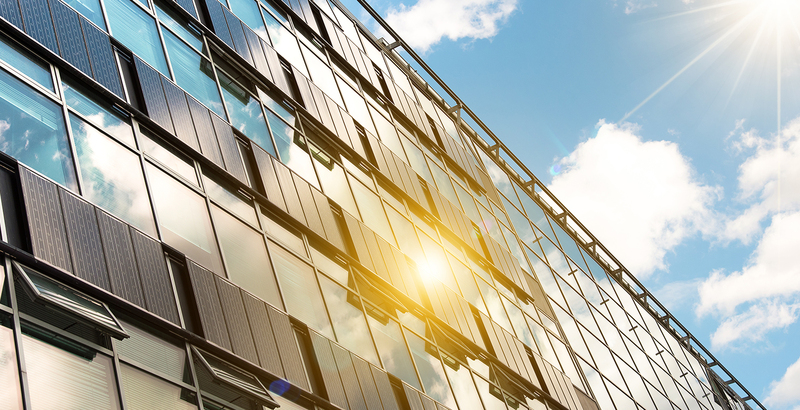 Heat and light is changing throughout the day, literally within seconds and solar shading can provide the control needed. 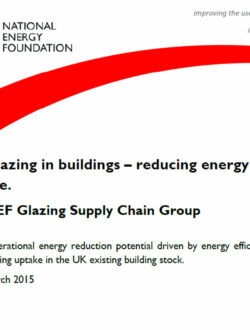 This is acknowledged in the Glazing Supply Chains report into reducing the energy use in the UK building stock which you can see here.